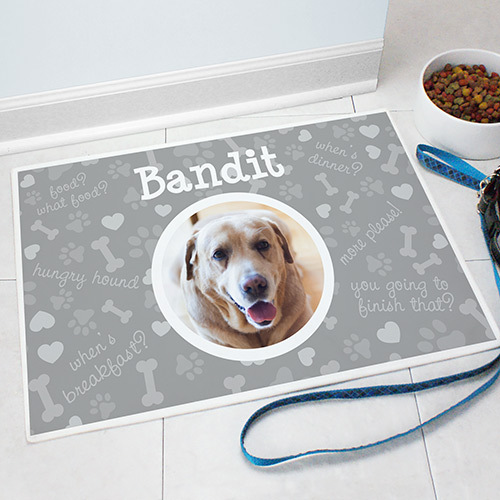 Serve your pet their meals using this fun, one of a kind, pet food Personalized Photo Pet Mat! We will customize this Personalized Pet Food Mat with any photo of your pet that you would like and any pet name. Makes a great gift for pet lovers!